J D Forktrucks, based at Newtownabbey in Northern Ireland, recently completed a deal with leading Enniskillen-based, precast concrete products manufacturer, Tracey Concrete, for two brand new Hyundai 7,000 kg 70D-9 diesel counter balance forklifts. 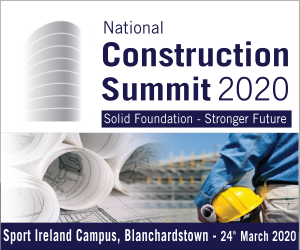 Tracey Concrete is a family-owned and run business, which began trading in 1979 as a ready-mix company, and has since grown into one of the largest precast concrete manufacturers in the UK and Ireland. 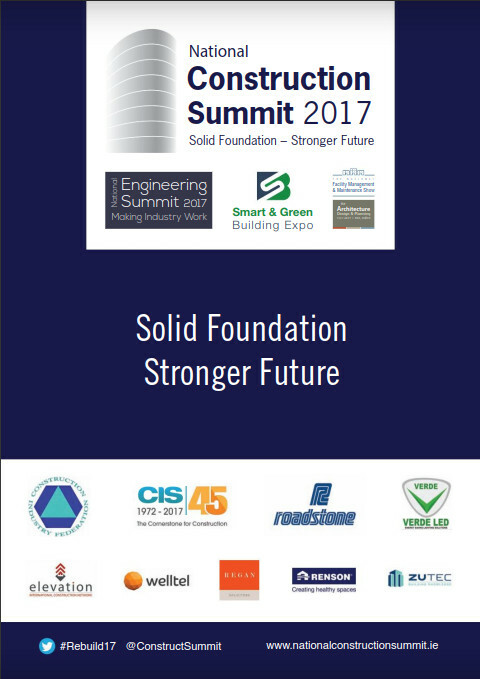 The company specialises in precast drainage, bespoke tunnelling, high level engineering and building products. The company has an existing fleet of 38 forklifts mostly ranging from 3 tonnes to 5 tonnes and had not considered the Hyundai brand in the past. In the early part of last year Martin McAfee, Sales Manager, JD Forktrucks, contacted Tracey Concrete to introduce the company to Hyundai and J D Forktrucks. Although the business was not in the market for new trucks at the time, Martin forged a friendship with Tracey Concrete founder, Patsy Tracey and director Anton Tracey. Both machines are fitted with Fabcon Engineering lifting attachments, which are permanently fixed to the trucks, which allow them to perform their daily duties of shifting and loading heavy Manhole Rings. The forklifts work approximately 10-hour shifts so need to be robust and reliable. 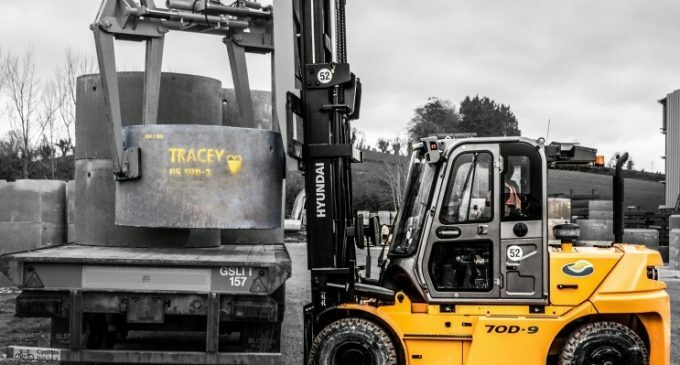 Tracey Concrete is growing its forklift fleet as the business grows and is planning on future investments and refreshing its existing fleet.